Docurated quotes Jason Kanigan on the best way to develop a consultative sales approach in this extensive panel discussion. What's different about consultative selling? 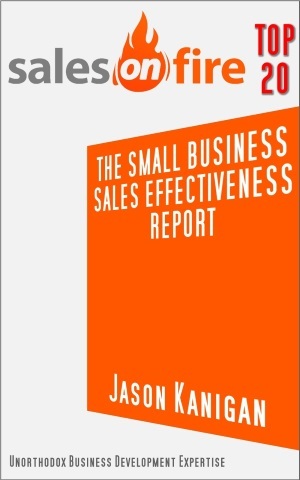 Docurated quotes Jason Kanigan alongside 25 other sales experts on the core transformational shift you must make to truly have a consultative sales approach. Mouthing the words "Let's find out if we're a fit," but lacking the true intention and complete willingness to qualify prospects Out when they really are not a fit, is not consultative selling. Nearly all salespeople are still trying to push their prospects into buying from them. While it may seem counter-intuitive and perhaps even counter-productive, being willing to walk away gives you as the salesperson complete power in the selling situation. It is you, not your prospect, who chooses whether anyone gets to move from being a prospect to being a client. And for that to happen, it had better be a great fit on need, budget and personality. Why would you try to sell something to someone who didn't need or want it? Sure, they may not know they have that need or want when you meet them. But you should be able to uncover this need or want within a few minutes. If it's not there, move on. Why would you try to sell something to someone who didn't have the budget for your solution? 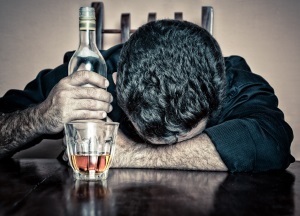 Do they have a problem big enough to warrant your involvement? Is your price in relation to anything, or is it just floating in midair--begging the "That's too much!" response? Are you emotionally satisfied with your price on a self-esteem level? Why would you try to sell something to someone who didn't have a good personality fit with you? Anyone who's heard my "Hollywood Horror Movie" bit remembers for the rest of their lives what a bad client can do to your business...and how easily they can slip in the door when you allow them to. Consultative selling means a whole lot more than a simple retread and upgrade of selling patter. It is a transformation of approach. You cannot go on the way you did before, slinging features and benefits at prospects and hoping something sticks. In this article where Docurated quotes Jason Kanigan, he explains the fundamental move that results in this transformation. 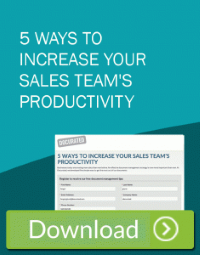 While you're visiting, download Docurated's "5 Ways to Increase Your Sales Team's Productivity" guide.